It would be easy and gratifying to write, "US sake has reached the same level of quality as Japanese sake!" For one thing, I'm very patriotic. And with my credentials on the topic, I could place that article almost anywhere, so I'd make more money than by putting this on my blog. If it were true, US sake would also be a much better deal. SakeOne's sakes are really cheap for the category. Most are about $13 for a 750 ml bottle, whereas a good Japanese Junmai Ginjo will usually set you back $25 or more. I guess you know where this is leading. 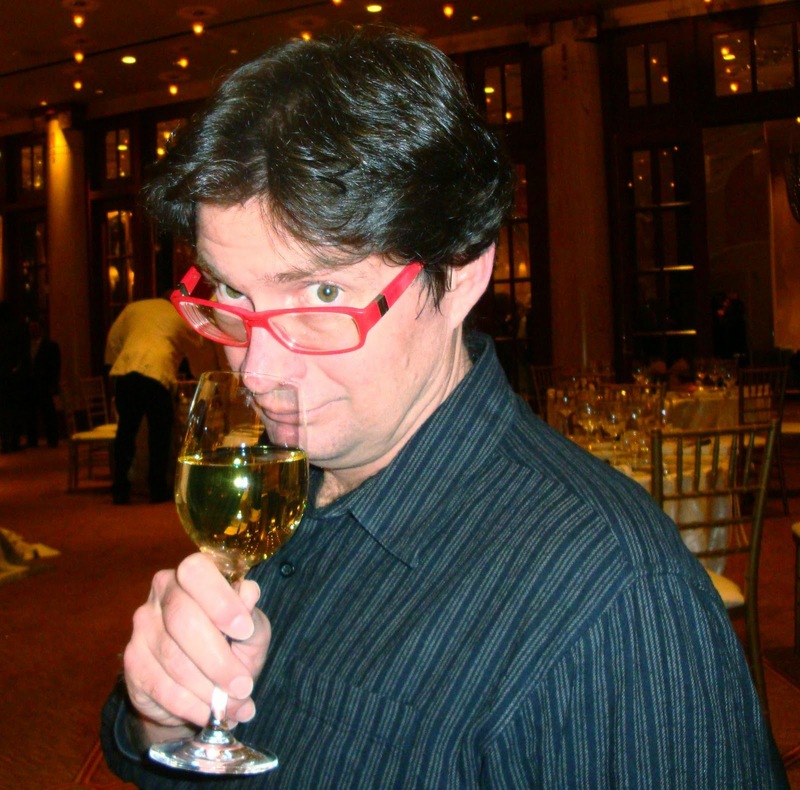 From my interview with Greg Lorenz, the head brewer, and Dewey Weddington, the VP of Marketing, I think I have my answers to the question not of whether US sake is still inferior to Japanese, but why. * Water is perhaps the most crucial ingredient in sake. A Japanese brewer once told me that the only sake-quality water his large corporation found in the US was in Arkansas, but that state presented too many production and distribution challenges. Lorenz: "Our water's great. We have coast range rainwater collected in lakes. It goes through city processing. We have a filter to reduce any trace iron. Then we push it through a carbon filter. We also do some micro-filtration to get biological microdebris out of the water. Part of the reason the site (in Oregon) was chosen was for similarity to Momokawa Japan (which helped found SakeOne). Momokawa is outside of Hachinohe in Aomori. They have well water. It takes 50 years to get to the top of the well." Do I need to say it: SakeOne is using tap water. That's not well water. * Rice is perhaps the second-most important ingredient. While Yamada Nishiki is the Cabernet Sauvignon of sake rice, there are plenty of other good strains adapted to various climates; I'm a huge fan of Gohyakumangoku. There's no reason great sake rice couldn't be grown in the US, Europe or anywhere else. But sake rice and eating rice are generally different because you want different qualities from them. While you can eat sake rice, or brew with eating rice, it's not ideal. You wouldn't make top-quality wine from eating grapes. SakeOne uses CalRose eating rice. And it's not even from Oregon -- it's from the Sacramento Valley. This is also done in Japan; some breweries buy Yamada Nishiki from hundreds of miles away. But why would anyone ship in eating rice from hundreds of miles away? Lorenz: "We've had test plots (of Yamada Nishiki) done in the Sacramento Valley. It does not do well in the area. It grew taller than average, took longer and fell over." I think that about covers it. I liked Lorenz, a straight shooter with a degree in plant biology from Arizona State. He has been making sake at SakeOne for 9 years, but had no previous sake experience. SakeOne's Momokawa Pearl is, according to VP of Marketing Weddington, the No. 1 selling nigori sake in the US. Sake aficionados don't drink much nigori, as it's the White Zinfandel of sake -- a sweet starter to whet your appetite for more serious stuff. But there are decent nigori sakes available. This one is sweet and thick and gooey, not chunky with bits of real rice. Because of the texture, I would much rather have White Zinfandel with sushi, if that's what people are doing with Momokawa Pearl. Of SakeOne's main line of sakes, I found Momokawa Diamond (the medium-dry one) the most drinkable. I wouldn't order it in a restaurant, but I would drink it on an airplane. Its shy aroma reminded me of cream cheese. It's bitter initially, but saves the experience with a mild cream-cheese finish. A grippy mouthfeel adds some interest. I would not drink Momokawa Silver, Ruby, G or Pearl. I'd rather have tea or water. Momokawa Silver has a nice aroma, lemon with some light cream, but on the palate it's richer than you expect, with a flavor of sea salt, a hint of citrus, and a sour finish. I kept smelling it expecting it to taste better, but it never did. But at least it has that nice aroma. Momokawa Ruby smells old, like last year's hay. It's milky and sweet with an unpleasantly gloppy mouthfeel. Momokawa G, their genshu ('cask strength') version, has character: it smells like sheep grazing in nettles. It tastes like sheep cheese with hints of citrus and a little sour milk. It's interesting, but I wouldn't drink it. The Moonstone Plum was just 7% alcohol and had a refreshing Cherry Kool-Ade-like flavor; if you like White Zin, this is a nice low-alcohol alternative. I can imagine drinking this on a hot day. And frankly, I'd rather drink it with food than their straight sakes. Moonstone Coconut Lemongrass is potent, at 18% alcohol, but it's a cocktail by itself, hitting you with an intense blast of lemongrass, than settling in with soothing coconut for a long finish. Restaurants that have only a beer-and-wine license should test this as a pre-mixed cocktail alternative. I'm not running separate tasting notes and ratings because this piece is already mean enough. And I've been sitting on it for weeks. So why am I bothering to run it at all? Should I have tasted the sakes and never written anything, standard practice for bloggers? Perhaps. If SakeOne were an independent winery of its size, that's probably what I would have done. But it's not a winery; it's a sake brewery, and it represents not just a brand, but a whole category. I had to answer that persistent question from readers. Yes, I have tasted American sake, and recently. I am honestly sorry to say that Japanese sake is still significantly better. Thanks for confirming my own experiences on this subject. It does leave me to wonder if anyone is making high quality sake in some place other than Japan. Rice: Just over 9,000 farms produce rice in the United States. Those farms are concentrated in six states: Arkansas, California, Louisiana, Mississippi, Missouri, and Texas. U.S. rice production accounts for just over 1% of the world’s total, but this country is the second leading rice exporter with 18% of the world market. About 60% of the rice consumed in the U.S. is for direct food use; another 20% goes into processed foods, and most of the rest into beer. Excellent Post, Blake! Would love to read more posts about sake from you. Great post! I don't think Sake gets the press it deserves, and people therefore settle for the cheap-generic brands through not knowing any better. I would definitely welcome more posts on the subject. I do have a question though (since you spent 8 years in Japan), is Sake traditionally served warm, or is that just how it has been Americanized? Hey Kris, thanks for your question. Sake in Japan is served at three temperatures: some is served warm, most of the good stuff is served cold, and some of the good junmais are served at room temperature. However, although no great sakes are served warm, that doesn't mean warm sake isn't great in the right circumstances. I just walked up a hill underdressed in near-freezing weather, and if somebody offered me a flask of hot sake, I would have been grateful. Sake takes heat better than wine, and sometimes you really want a nice hot beverage with some wallop. When sake first got to America, it seemed to be served warm a disproportionate amount of time. But now it's about right. There's definitely a time and place for hot sake, and if you're in, for example, Boston, that time and place is right now. Because you talk so much about Sake I had a chance to go to a dinner at Little River Inn a few weeks ago and had a great time learning even more about Sake. I'm still not sure but I will be trying more in the future. I emailed you a copy of the menu. Jo: Glad to hear it! You should visit True Sake in San Francisco; they're very knowledgeable and will help you find something you like to fit your budget. 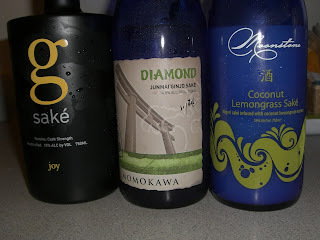 K&L also has ramped up its sake program, and is maybe my favorite local wine store, but True Sake is still No. 1 in its niche. You should come to Vancouver, BC and Toronto, Ontario in Canada to try our 3 sake manufacturers producing nama sake. I am surprised the Oregon companies do not offer nama.